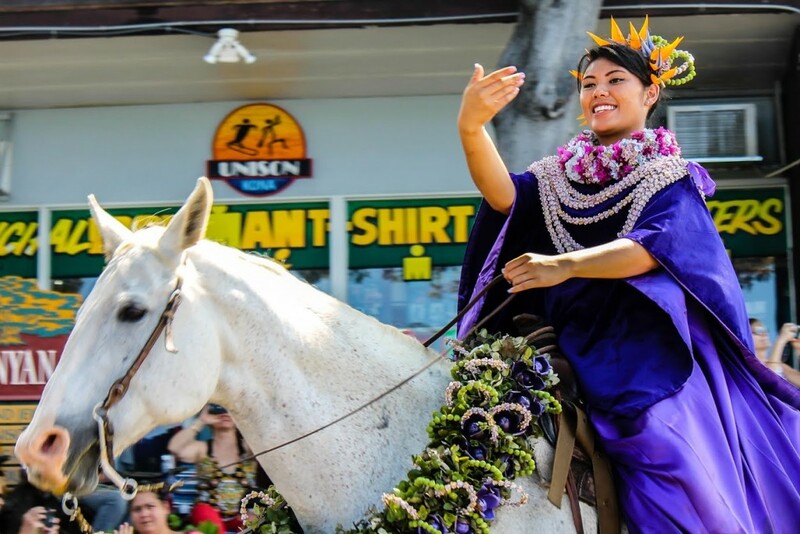 A beautiful Pa’u princess waves to the crowd as she rides a horse in the Kona Kamehameha Day parade. 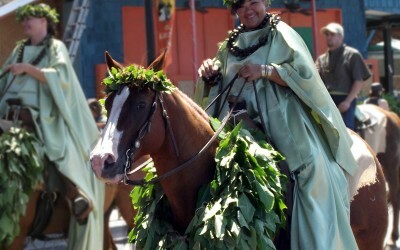 Pa’u riders spend hours and hours making lei for their horses and themselves. 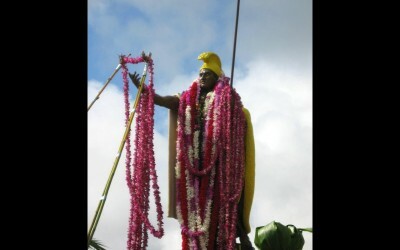 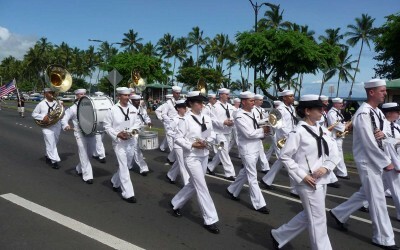 From collecting the flowers and leaves to preparing, weaving, and string the lei, the riders put a lot of love into the work. 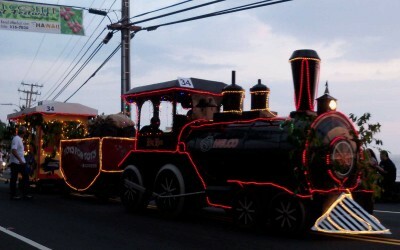 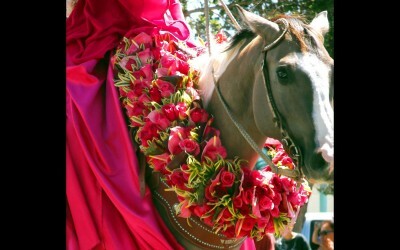 The end result is a gorgeous procession of decorated horses and riders for all to enjoy. 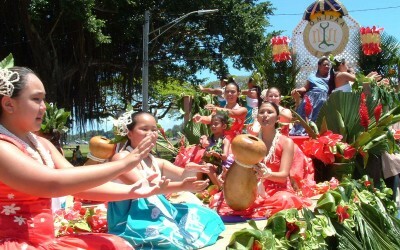 The rider herself also wears a traditional Pa’u dress–several yards of flowing, colorful fabric meant to protect clothing underneath.